Your brand is so much more than a logo. It’s everything and anything that touches your customers. Reach your customers no matter where they are – at work, at home or on the run. You need to be as flexible as life is. You’ve got a great product. Now figure out who’s going to buy it, where they are going to buy it and what will drive them to buy it. It’s SHOWTIME! Creating a welcoming environment is a great start. Know what to do with them once you’ve got them. Let's get strategic! Connect with your customers through online contests, targeted email and other social media models. Shervin is a boutique graphic design and marketing agency. Founded 24 years ago, Shervin thrives on providing creative solutions for clients throughout North America. Our creative exists in everything from brand / identity development, product packaging, and print collateral to web development, video and multi-media. This though, is only part of the complete solution we provide to all our clients. Time and time again, we are told that our processes for getting the job done on-time and on-budget are refreshing and quite rare. This is wonderful to hear, but we are always curious…why wouldn’t a project be delivered on-time and on-budget? Having thoughtful design creative, coupled with meeting deadlines and keeping the wallet in line, is how we roll. The entire Shervin team knows we are in business with a shared set of goals – listen to what our clients’ creative needs are, design solid marketing materials and ensure everyone has an enjoyable experience working together. 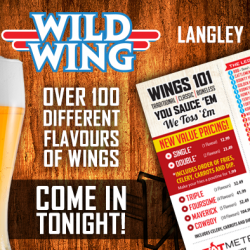 Wild Wing Langley has all you need for a great night out; wings, drinks, TVs and special event nights. What they needed were the tools to get all that great information out through Social Media. Shervin created a Social Media plan and mapped out all communication across the various Social Media channels. We designed a ‘tool kit’ of Social Media graphics to ensure all posts had a professional, consistent appearance. This repeated effort resulted in an increase in restaurant traffic which hasn’t stopped. 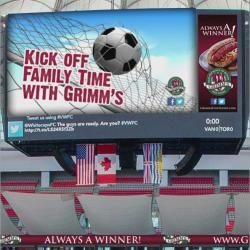 Grimm’s Fine Foods wanted to expand their presence during Whitecap games at BC Place. Soccer has really embraced digital media and Shervin designed numerous digital billboards to enhance Grimm’s brand awareness throughout the stadium during home games. We also developed a 30 second video ad to play on the jumbotron. The resulting graphics are dynamic, visually captivating and grab the visitor’s eye through all of the competing visuals in the stadium. 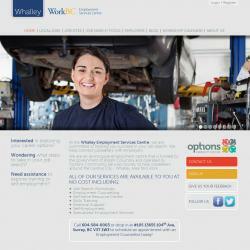 Shervin partnered with Whalley WorkBC to design and build their new website www.whalleyesc.ca. Their requirements included; user login area, intuitive, easy to use Content Management System (CMS), calendaring and clean easily-followed navigation. We designed and built a Drupal based responsive design website with an intuitive, easy to use Content Management System (CMS). The end result is a powerful and very flexible website that allows the client to easily make updates and keep the website content current. Rated year after year as one of Burnaby’s finest dining experiences, we were contracted to create a new visual brand for the restaurant. 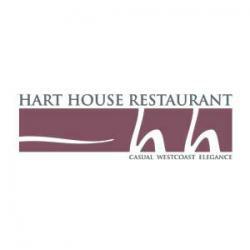 Their goal was to have a design that was iconic, easily recognizable and aligned with the elegance of the restaurant. Our vision and design for the new brand identity was to marry solid tradition with a modern and timeless flair and has provided the restaurant with a very consistent and recognizable visual brand within the Lower Mainland. 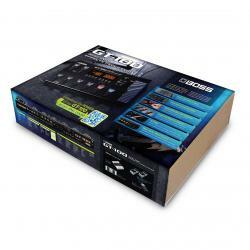 The original packaging for the GT-100 was functionally sound however its plain brown box, sitting on retail shelves, was a missed opportunity to educate consumers about the power of the product. Shervin was tasked with designing a solution that worked with the original packaging and wouldn’t increase the packaging costs drastically. Our solution was a full colour box wrap that was eye catching, highlighted all the benefits of the product. . With the new box wrap in place, their product stood out much stronger than all the competitors, and provided increased sales of the GT-100.